A marathon of sports and film rivalries all in one day and on one channel? Brace yourselves, because this Sunday beIN will take you on a journey full of surprises. 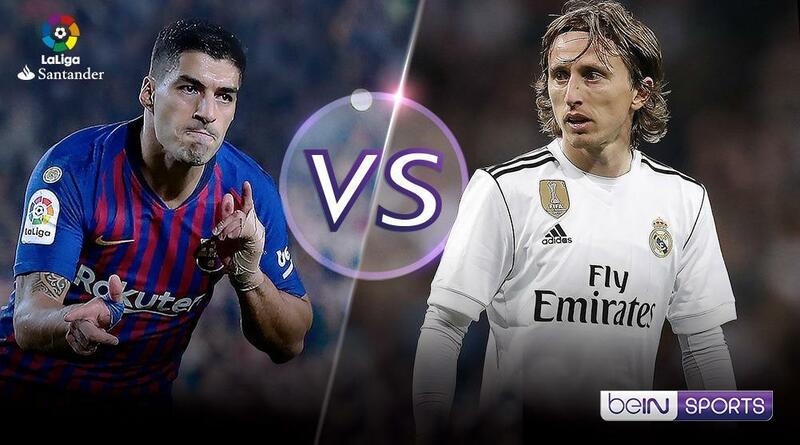 What better way to start your week than with the biggest game in football between the two Spanish giants Real Madrid and Barcelona in the ‘El Clasico’? This year’s match between the two Spanish sides will be the first without Cristiano Ronaldo and Lionel Messi going head to head since 2007. Fans from all over the world will be waiting to see how Real Madrid will cope without Ronaldo’s goals and if Barcelona can continue their fine form without their talisman. Real Madrid vs Barcelona will be live on beIN SPORTS HD12 in English, beIN SPORTS HD1 in Arabic, beIN SPORTS HD14 and on beIN’s dedicated 4K channel from 17:00 Mecca Time (GMT +3) with beIN star Lakhdar Berriche, former Moroccan footballer Youssef Chippo, Tunisian legend Tareq Dhiab and many others. In France, the momentum continues with another derby, where defending champions Paris Saint Germain meet Marseille in France’s ‘Le Classique’. The Parisians have their front three firing this season with stars Kylian Mbappe, Neymar and Edinson Cavani all expected to start. Dutch forward Memphis Depay has also been in blistering form for club and country this season and will want to be at his best to stand a chance against the undefeated defending champions. 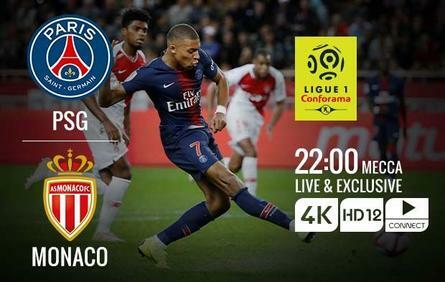 Paris Saint Germain vs Marseille will be broadcasted live and exclusive on beIN SPORTS HD1 in Arabic, beIN SPORTS HD15 in French and beIN SPORTS HD12 in English as well as on beIN’s dedicated 4K channel. Studios will be on air at 23:00 Mecca Time (GMT +3) and will see a host of beIN stars and guests like Moez Boulehya, Hatem Trabelsi, former French player Didier Domi and others. Italy is up next, with Roma taking on Napoli in an intense game between two historic Italian sides. Both Italian sides will want the three points from this game as they play catch up to league leaders Juventus. 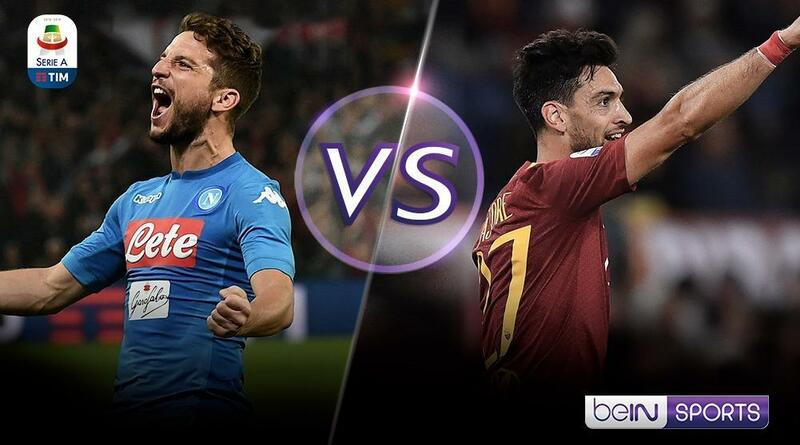 Napoli vs Roma will be broadcasted live and exclusive at 22:30 Mecca Time (GMT +3) on beIN SPORTS HD11 in English and beIN SPORTS HD4 in Arabic with beIN stars and guests Hichem Al Khalsi, Egyptian legend Wael Gomaa and 1982 World Cup winner Alessandro Altobelli. Rivalry Sunday doesn’t stop there—beIN is also broadcasting some of the greatest film rivalries for movie aficionados everywhere. Catch Batman vs Superman: Dawn of Justice on beIN Movies on HD1 for an action-packed adventure between two of the most popular superhero titans. The nominated People’s Choice Awards film under the category ‘Favourite Action Movie’ features Ben Affleck, Henry Cavill, Amy Adams, Diane Lane and many other popular Hollywood stars. Also, exclusively on beIN is the biographical sports drama film Borg vs McEnroe, taking viewers through the high-profile 1980 Wimbledon match between tennis greats John McEnroe and Bjorn Borg. Rivalry Sunday continues with two of the most intense rivalries in the entertainment business. beIN’s Video on Demand will feature Avengers: Infinity War and Justice League in a clash of two heavy weight superhero films. Avengers: Infinity War, featuring stars like Robert Downey Jr. and Chris Hemsworth, was the highest grossing film of 2018 as well as the fourth highest grossing film of all time. Justice League, one of the most expensive films ever made, features Ben Affleck, Diane Lane, Henry Cavill and many other Hollywood stars. beIN Series HD2 will host back-to-back episodes of the famed superhero series Arrow. The series sees Stephen Amell play the Green Arrow character in an action-packed series filled with twists and turns. beIN Series HD2 will feature Black Lightening in all its glory, with real-world plots, new villains, and a captivating performance from Cress Williams. We haven’t forgotten about our younger fans, as beIN Movies Family HD4 hosts two of the most famous superhero cartoons in Justice League and Teen Titans. Whether you’re a sports fan or film buff, don’t miss your favourite teams, stars and superheroes battle it out live and exclusive on beIN, the home of sports and entertainment.